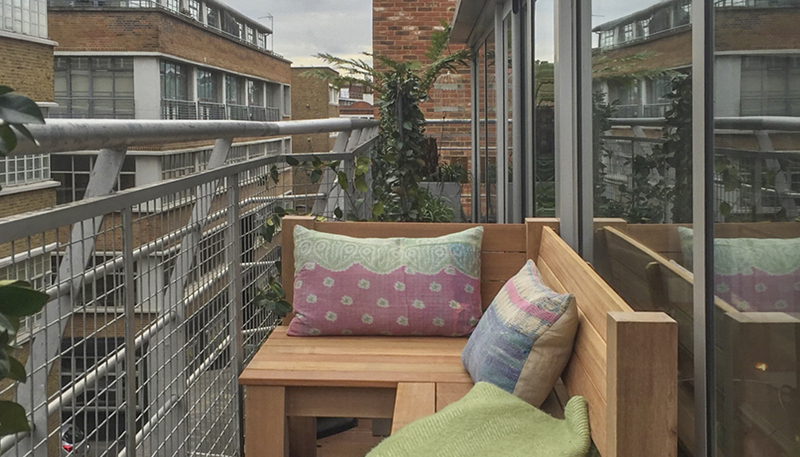 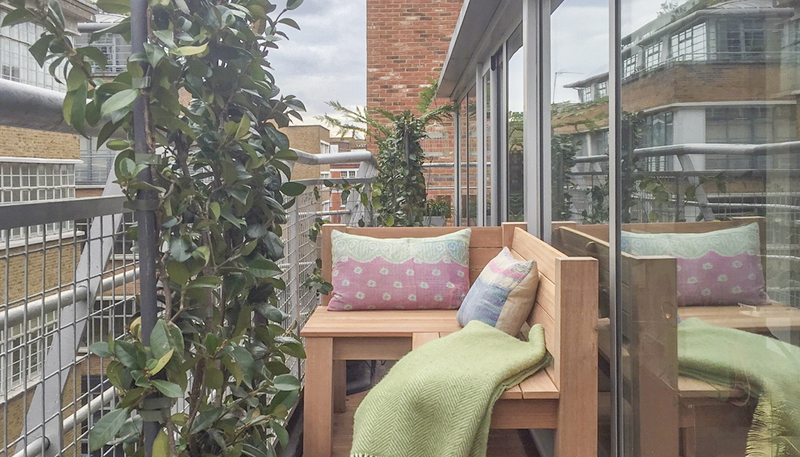 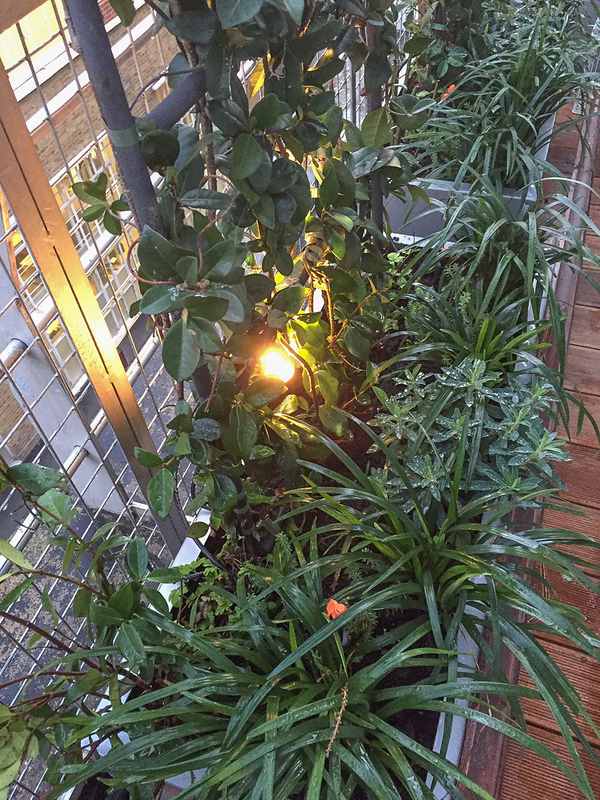 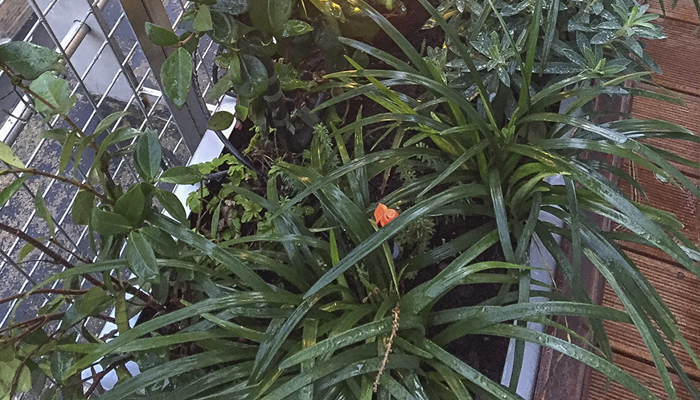 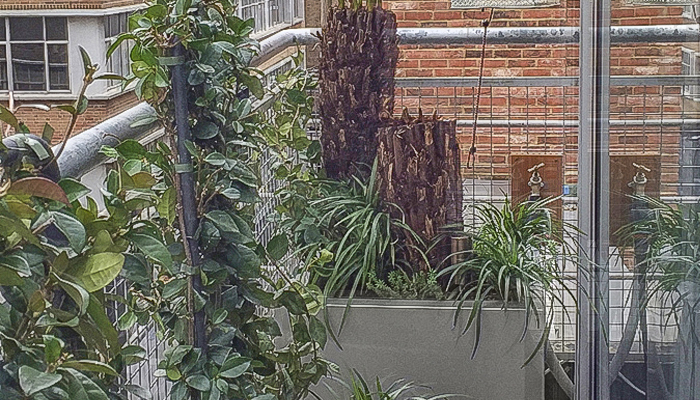 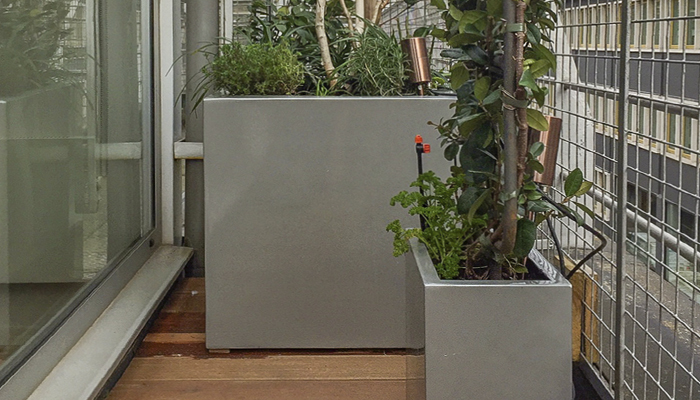 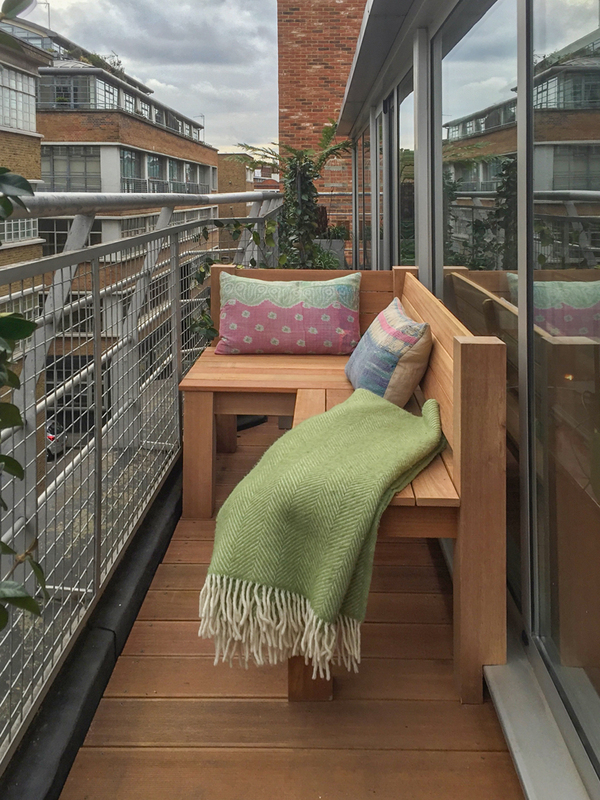 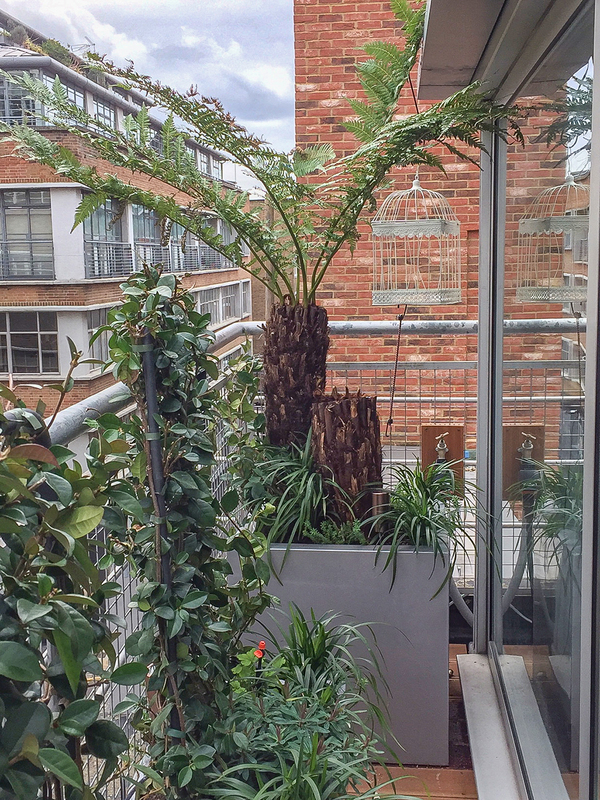 This is the skinniest garden done to date on a wrap around balcony in Clerkenwell. 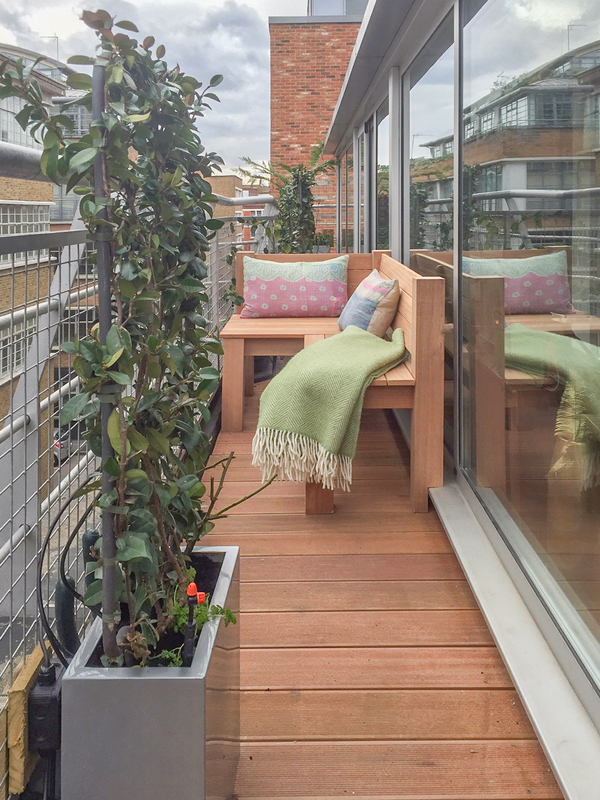 Ocean Liner in theme, the area is decked with dark boards, custom made steel coloured planters and a hardwood bespoke bench. 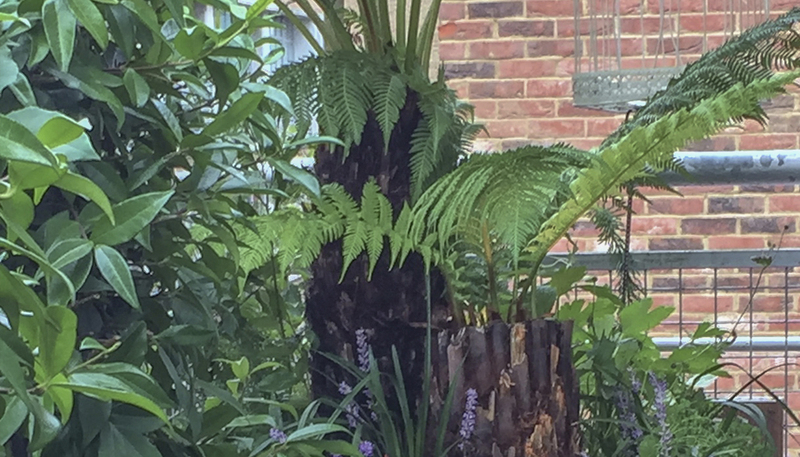 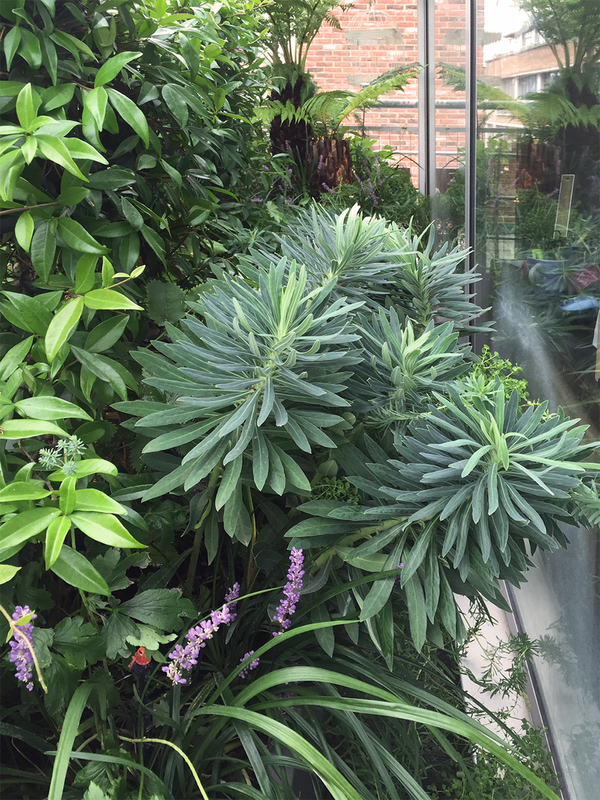 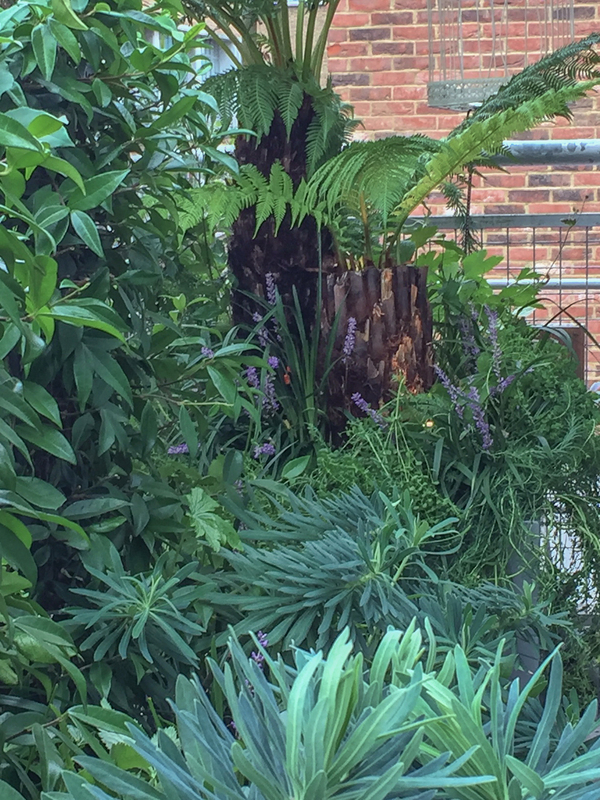 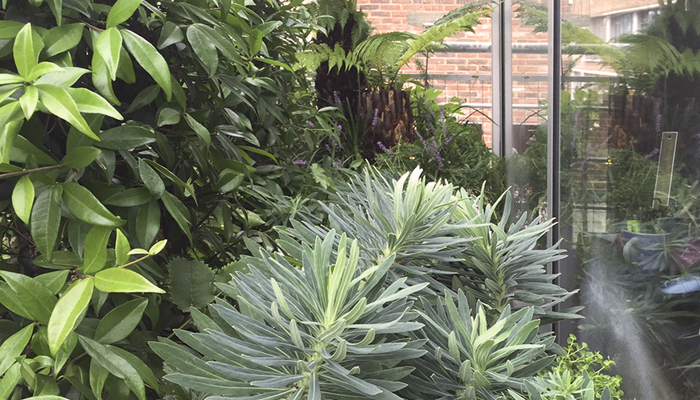 Packed into 800mm width of space (2 1/2 ft old money) are Betula trees, Tree Ferns, Euphorbias and Liriope. 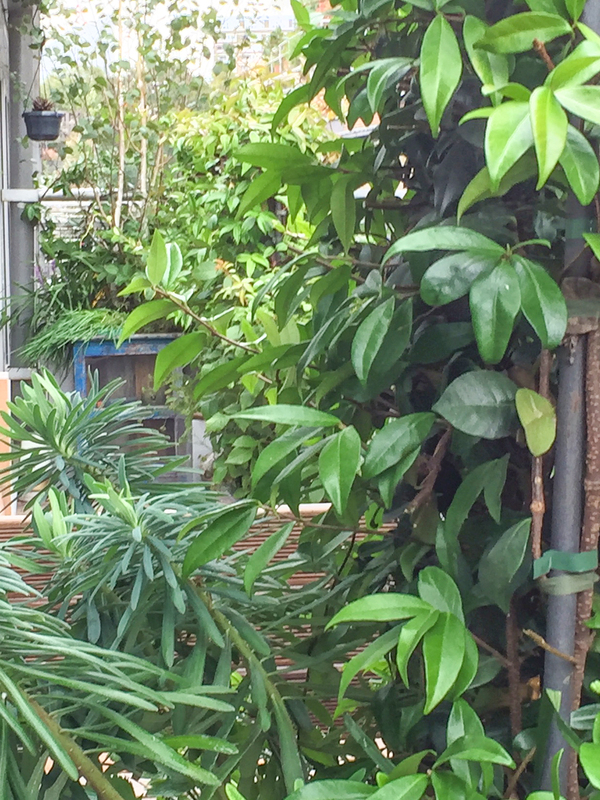 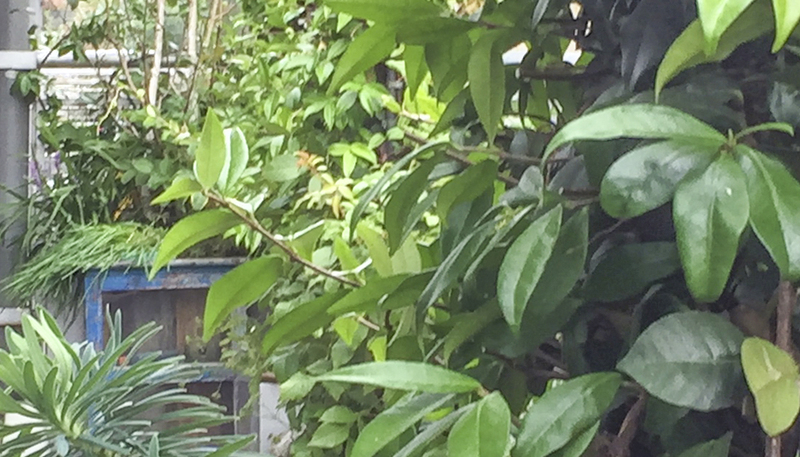 Lush and jungly, an oasis escape in the City.